Jason Roast, a central Idaho native, crossed a bridge that we, as hunters, all dream of crossing one day by addin g a huge buck to our trophy wall. 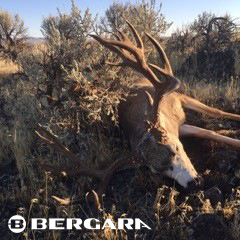 You see, last week, Jason and his brother took to the lava fields of Central Idaho in search of a buck that they had been watching for a few weeks that they felt confident would tip the scales at over 200 inches. Prepping for this outing, the brothers had their Bergara B14 Hunter 6.5 Creedmoor tuned up with a custom hand load that had been giving some amazing groups and having Jason feeling comfortable out past 400 yards and ready to hit the ground running. 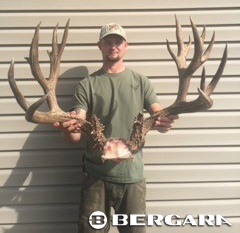 Jason Roast, a central Idaho native, crossed a bridge that we, as hunters, all dream of crossing one day by adding a huge buck to our trophy wall. Chomping at the bit and waiting for daylight, Jason and his brother made it to their hunting location on public land not knowing how their lives would change in the coming hours. If you are not familiar with lava fields in Idaho, let me open your creative mind. 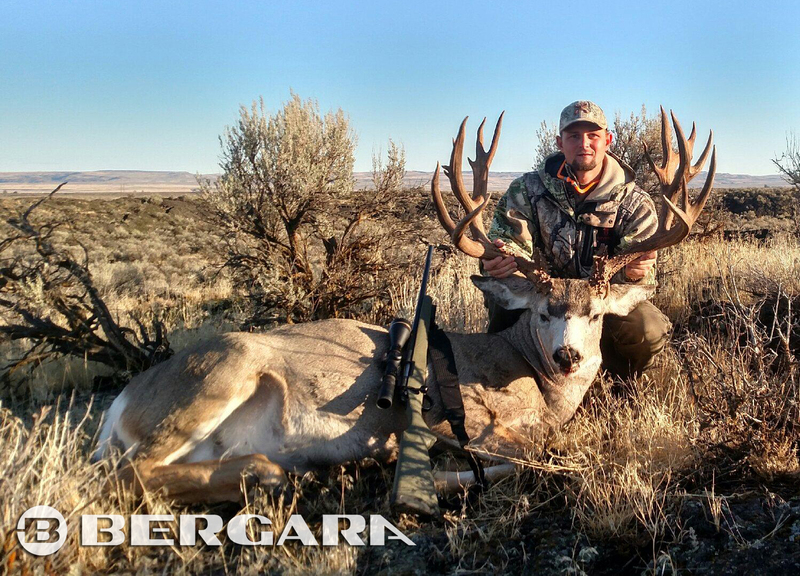 It is a super rugged country with very little vegetation, and hardly any trees; just a vast open, rocky area that you would never believe could produce a giant mule deer buck, but the guys proved that wrong in a big way. As they made their way slowly glassing the distance country, Jason’s brother spotted a huge buck and told Jason to get the B14 down on the pods and get ready. Following his brother’s instruction, Jason prepped for what he was thinking was their “hit list” buck. Unknown to him at that very moment, the buck was a much bigger one that they had been looking for. Thank goodness Jason’s brother didn’t tell him the actual size of this buck as the “buck fever” outcome may have been a bit different. Either way, Jason’s shot was accurate and when they walked up on this buck neither hunter could believe their eyes; a real trophy of a lifetime was laying in front of them! !